It is the responsibility of the collector to maintain a current and accurate list of their collection as well as care for its long term safety. Not only is it necessary for insurance purposes to maintain an updated recording of your assets, it is smart to develop your collection by purchasing and liquidating works over time. We take out the guesswork and offer market research for new purchases and valuation of your collection which enables you to track its financial growth over time. This includes attending art fairs, auctions and other important exhibitions around the world to research current pricing. We help manage your assets, keep track of your collection and stay on top of market value. We work with collections in all phases of inventory. The project scope typically takes place in two parts. Download the app on your iPad or iPhone to access your collection from anywhere in the world! 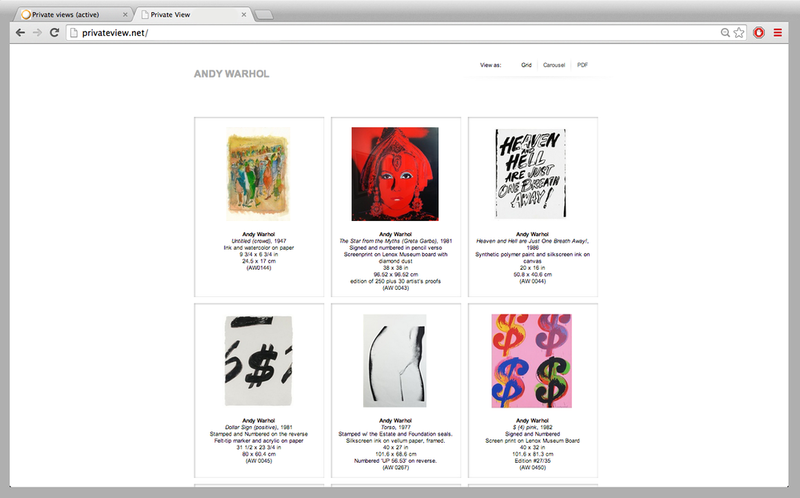 We manage the back end so you can browse and show your collection to anyone while you are on the move!